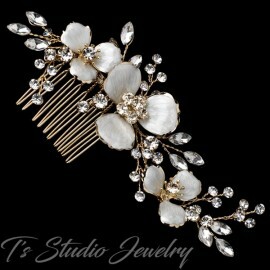 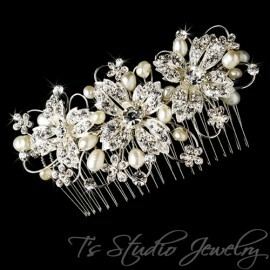 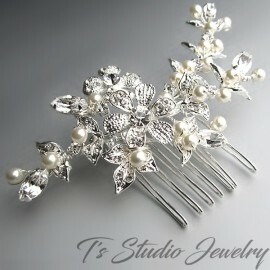 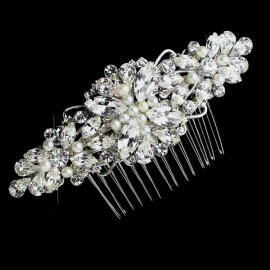 A lovely and elegant hair comb that will complement any bridal hairstyle. 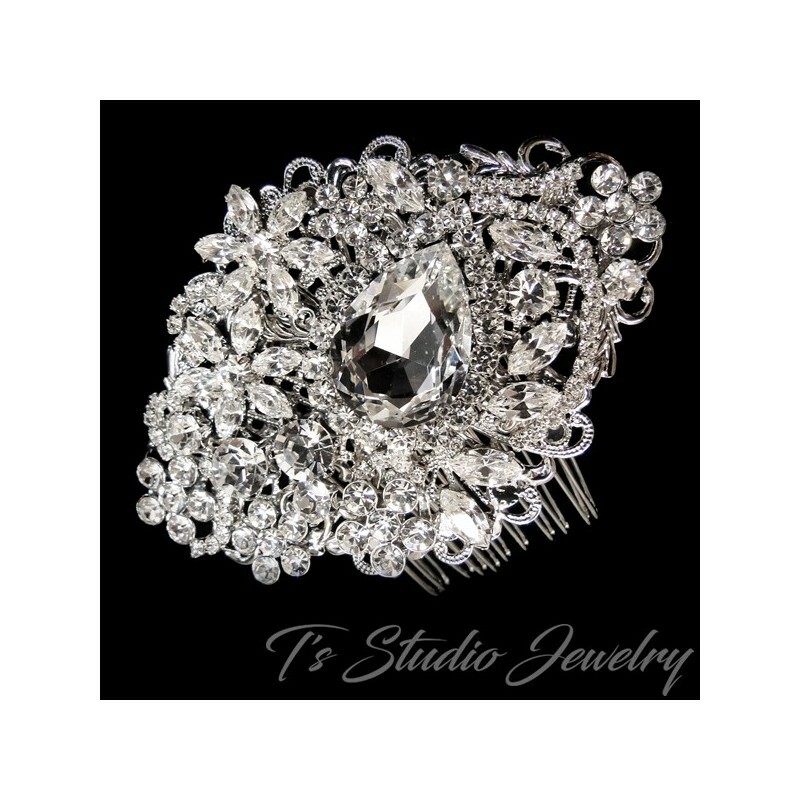 This hair comb features marquise and round cut rhinestones in various sizes in lovely floral accents with a large pear cut stone placed in the center, all on antique silver plating. 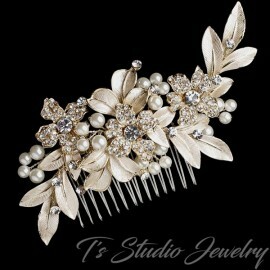 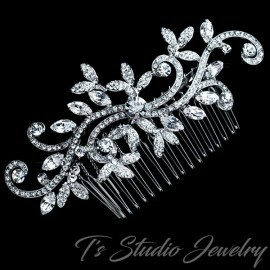 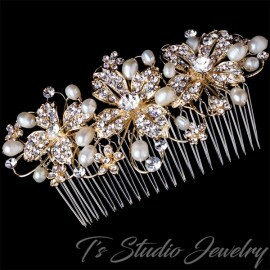 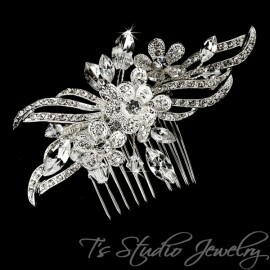 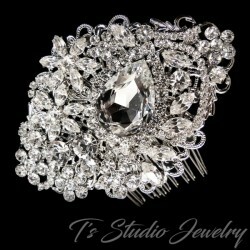 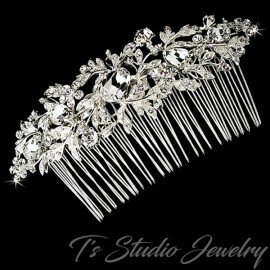 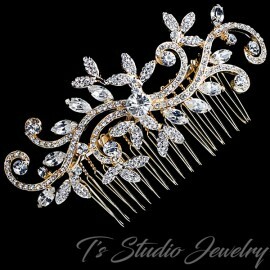 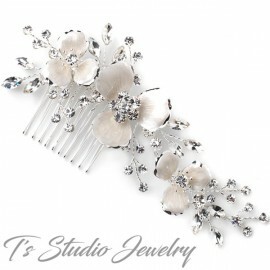 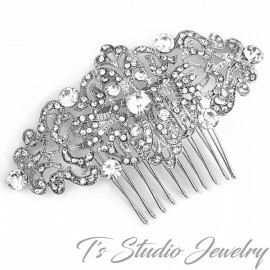 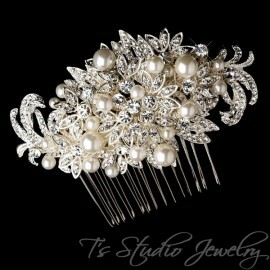 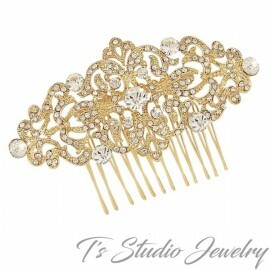 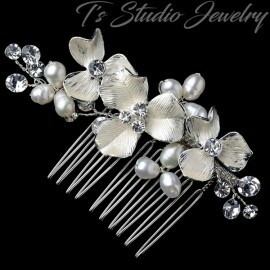 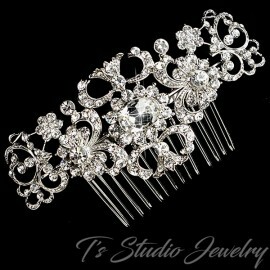 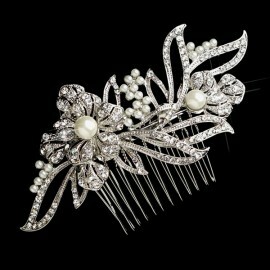 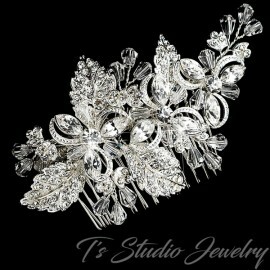 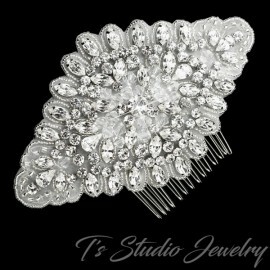 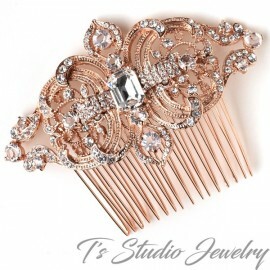 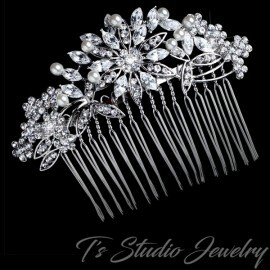 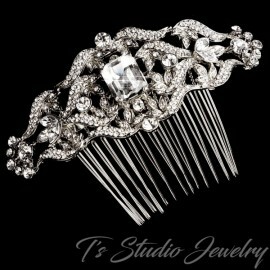 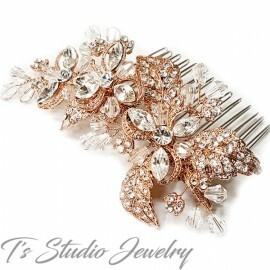 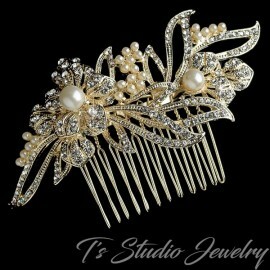 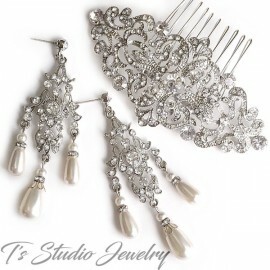 This hair comb is fabulous and will look lovely on any formal gown for and elegant event.